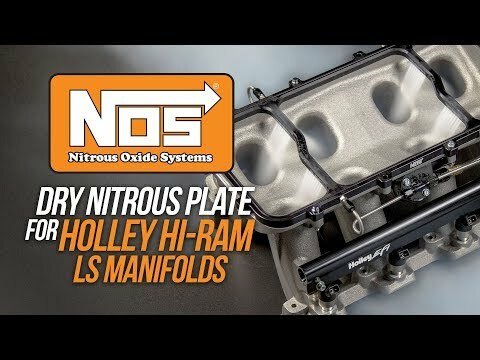 This NOS plate designed to bolt between the upper and lower intake manifold on Holley Hi-Ram LS manifolds. 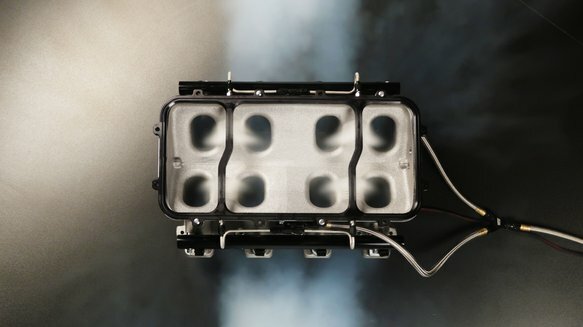 This sandwich-style plate gives you an easy way to add nitrous oxide to your Hi-Ram equipped LS engine. 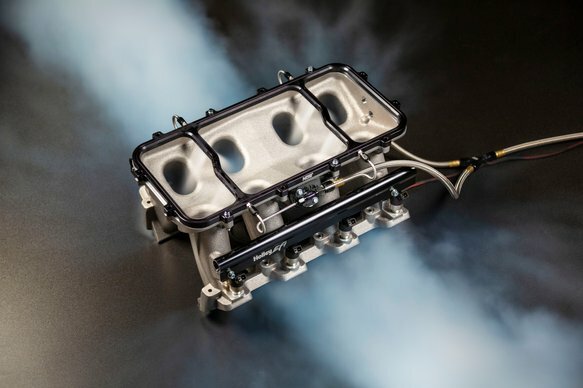 Our plate is machined from billet 6061-T6 aluminum, laser engraved with NOS logo, then anodized for great looks and excellent corrosion protection. 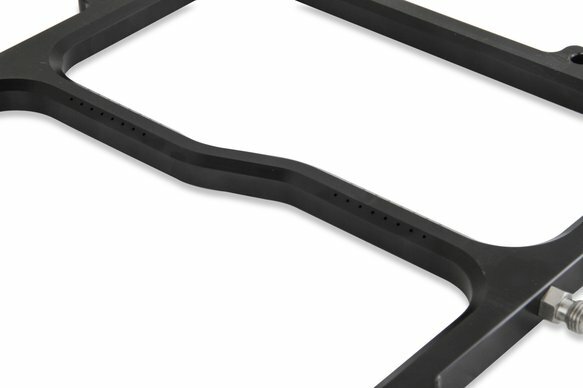 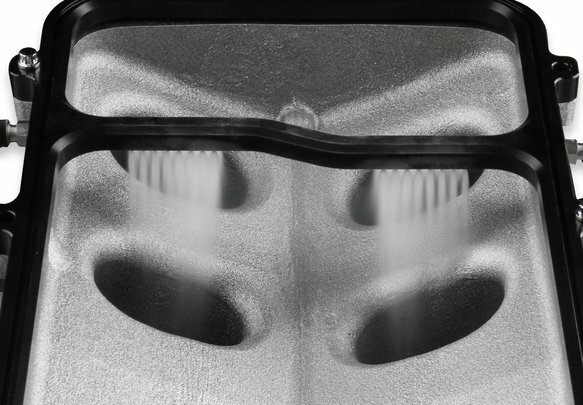 Our 1-piece plate features machined passages that precisely spray into the center of each cylinder. 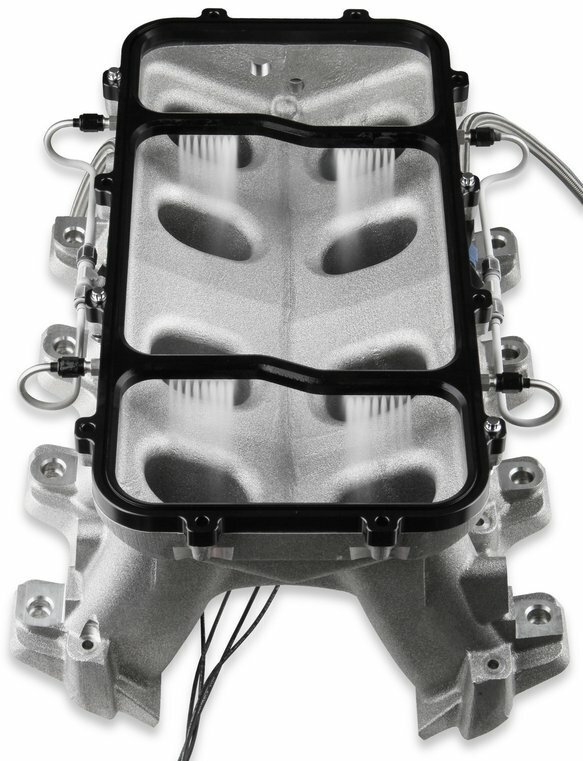 Plate includes jetting for up to 250 horsepower but is capable of supporting 1000+ horsepower. 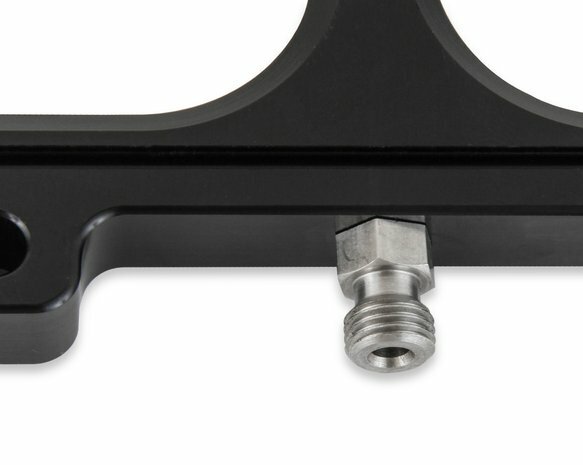 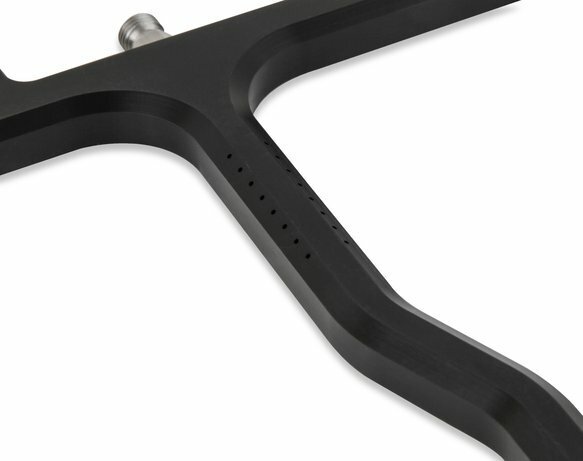 The plate is made from billet aluminum with passages machined directly into the plate so there is no need to worry about spray bars breaking or spinning. 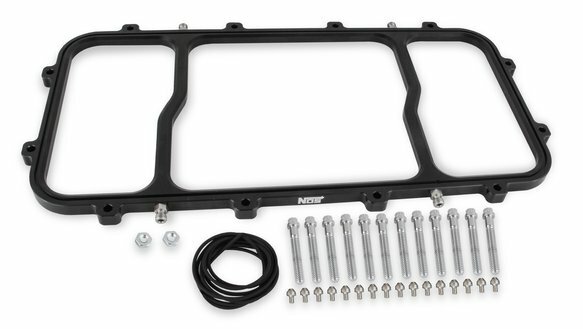 Includes NOS plate, gasket, jet holders, and jets.